Dual winter Olympian Jeremy Rolleston has achieved a great deal in sport, business and life. He is a truly inspirational role model who’s will, determination and perseverance allows him to follow his dreams and excel against the odds. Drawing on more than his fair share of ups and downs, he inspires others to be their best and achieve. Jeremy believes that representing your country is the greatest honour one can have. Jeremy was able to represent Australia in both bobsleigh and rugby. In his first full season at the helm, Jeremy piloted the two-man bobsleigh to the equal best finish in Australian bobsleigh history. Prior to this he won the 2006 Challenge Cup and competed in World Championships and World Cups as both a pilot and brakeman. At the 2010 Winter Olympics in Vancouver, Canada, Jeremy’s second Olympic dream was broken as he crashed out on the deadly track that claimed the life of another athlete only a week earlier. As a rugby player, earlier in his sporting career, Jeremy played for the Australian Legends, the Australian Universities team, and the Australian B (Legends) sevens team. A heartbreaking injury in the Fiji Sevens tournament prevented him from representing Australia in the Hong Kong Sevens World Cup. Jeremy went on to play in Italy for Rovigo in the European Shield and Italian championships before bobsleigh came calling. Away from sport, Jeremy is an intelligent and articulate man who won scholarships to school and university. Throughout his sporting pursuits, Jeremy was also able to forge a successful career in the corporate world. Although many saw him compete at the Olympics, few know that he left an investment banking job as an Executive Director of Goldman Sachs JB to train for his sporting dreams. Jeremy also founded and produced The Propeller Fashion Show, one of the largest fashion shows in Sydney. 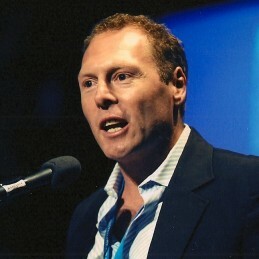 Jeremy is a gifted speaker who can tailor a presentation for any audience or situation. Jeremy can speak on business and other topics such as: daring to dream, removing limitations, motivation dedication and commitment, goal setting, life balance, and leadership.